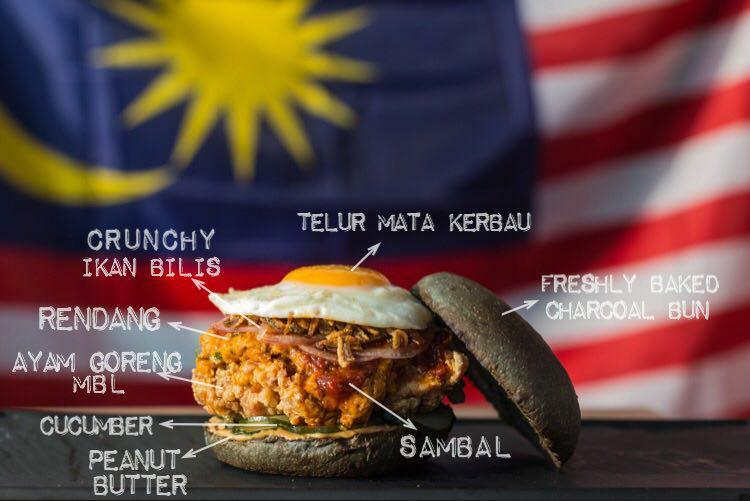 Malaysians are a fiercely patriotic lot, especially when it comes to food. We have good reason to be. If there’s anything to be unequivocally proud of as a Malaysian, it’s that we are recognised all across the world for fantastic local food. We figured there was no better way to celebrate Us – the amalgamation of our ethnicities, the distinct differences in our cultures and heritage, our pride in local flavours, and our patriotism – than to share our interpretation of a timeless creation our forefathers have gifted us with. Also because ain’t nobody gonna make a Malaysian classic better than a Malaysian! 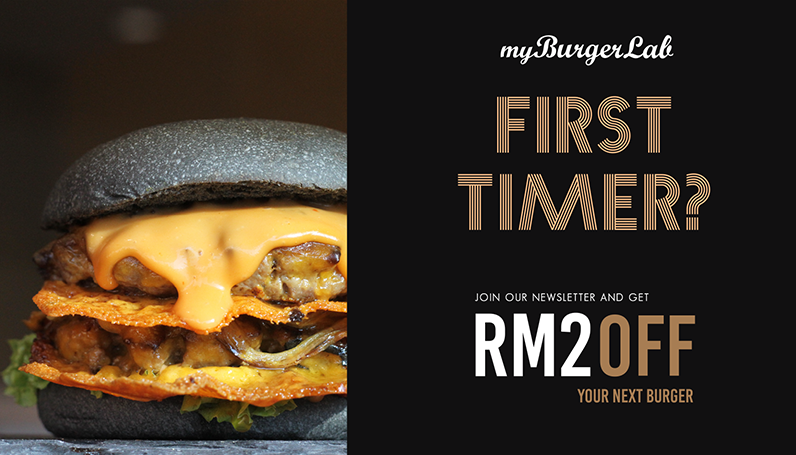 Introducing the Nasi Lemak Ayam Rendang burger. The unmistakable aroma of santan in Nasi Lemak is what characterises our national dish – so we packed our rendang with lots of coconut and local herbs to make it rich and flavourful. This sauce rests atop a crunchy, juicy fried chicken thigh, crunchy ikan bilis. We never liked the limp, lifeless cucumber in typical nasi lemak bungkus, so here we use kyuri (Japanese cucumber), and pickle it to give our burger an extra zing. Can’t have peanuts dropping on your shirt with every bite? No problem, peanut butter to the rescue! 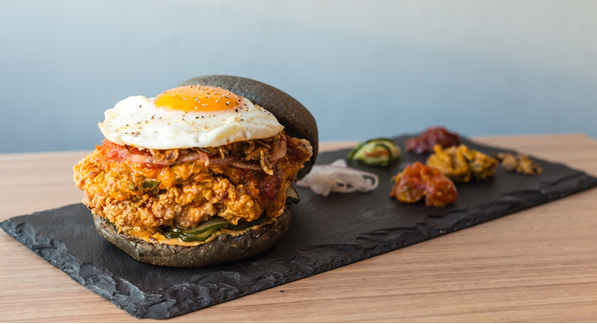 Finished with some crunchy crushed ikan bilis, a generous dollop of sambal and a good ol’ sunny side up, our Nasi Lemak Ayam Rendang burger promises to be as satiating as it is a mouthful to say. We decided we would focus on giving our national dish the honour and respect it deserves. As you can see, no fancy tricks, there was no need to reinvent the wheel. We know Malaysians are passionate foodies, so we truly hope you enjoy our tribute to Nasi Lemak. Oh, and there’s rice flour in the bun somewhere. So really, the only thing missing is a banana leaf and some brown paper. And perhaps some Teh Tarik. Maybe after?